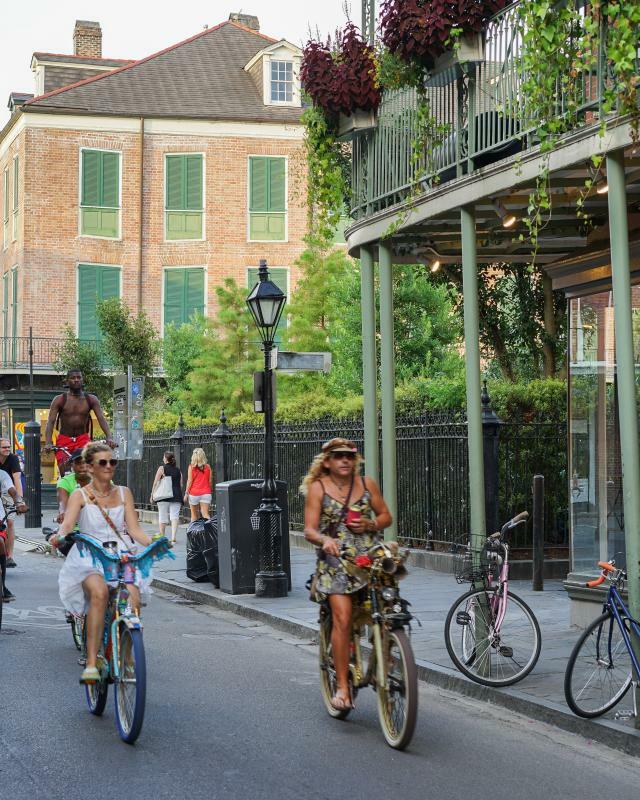 Designated a bicycle friendly city by the League of American Bicyclists, New Orleans has about 100 miles of installed bikeways for you to explore neighborhoods and take in the sights. Bike under the Live Oaks at Audubon Park or travel along the levee overlooking the Mississippi River. You can explore City Park, riding from the French Quarter along the Lafitte Greenway. 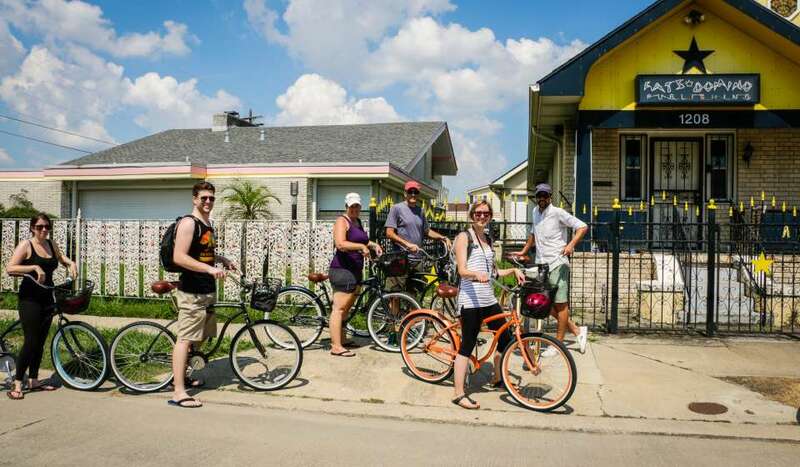 Rent your own from one of the many shops around town or take a themed bike tour delving into architecture, local food, neighborhoods and history. Here are your options.